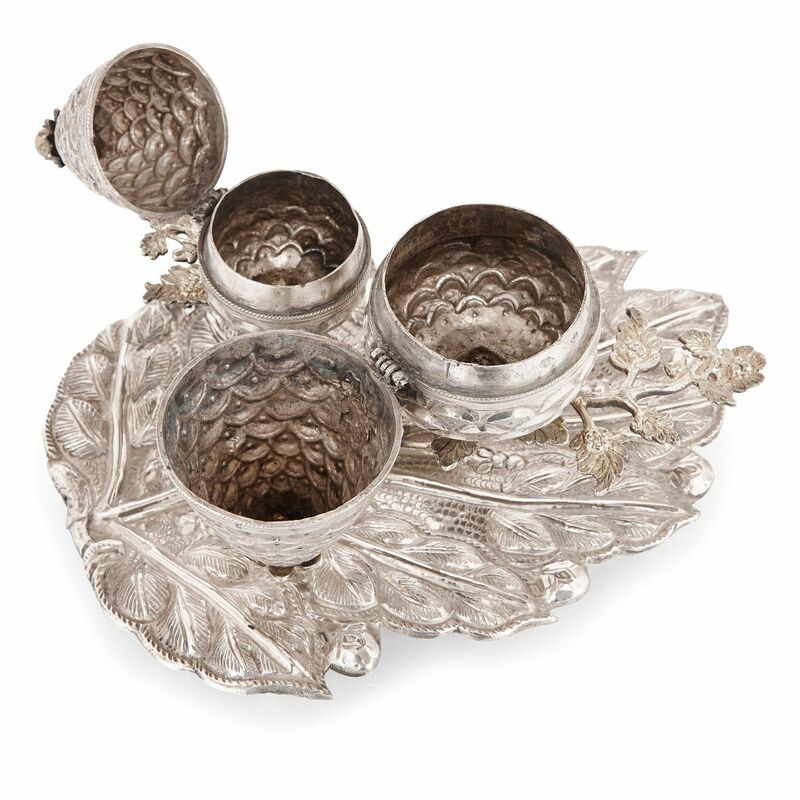 This fine Besamim, a spice box associated with the Jewish ceremony of Havdalah, has been beautifully crafted to resemble two pinecones on a leaf. The besamim, or spice box, takes the form of two pinecones shown resting on silver branches, emerging from a large textured silver leaf. 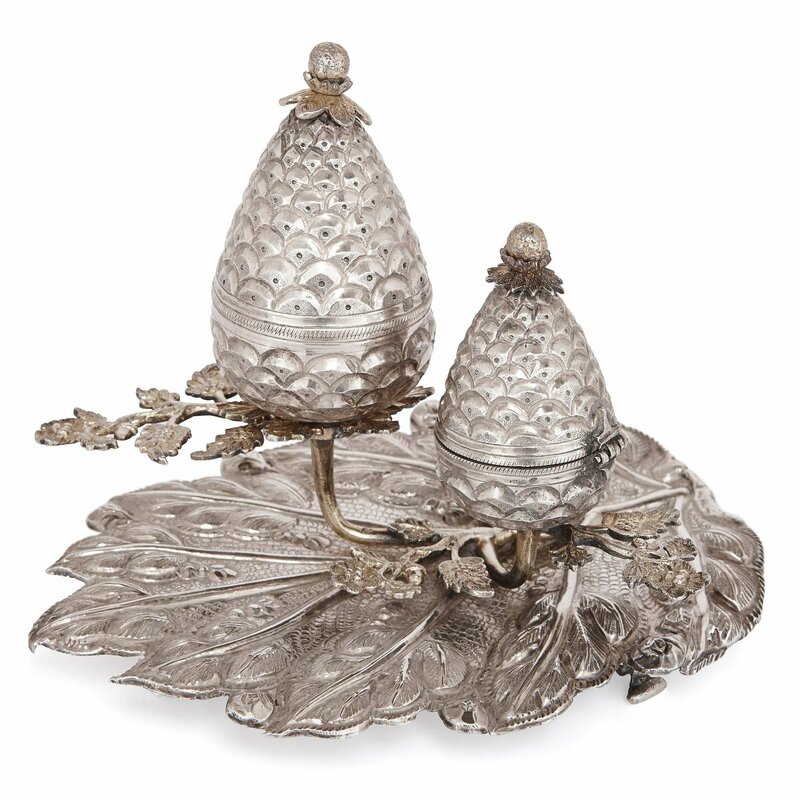 The silver pinecones, which also act as the spice boxes, are decorated on their exterior with an overlapping semi-circle design and each is surmounted by a finial. 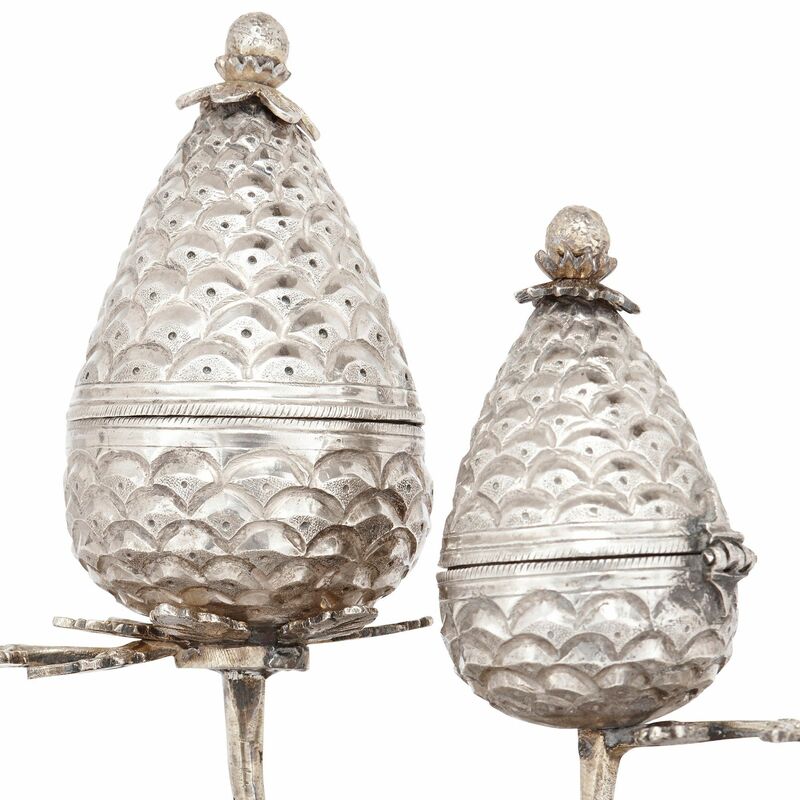 They both open via hinges at the rear to reveal a silver interior, traditionally used for containing spices. 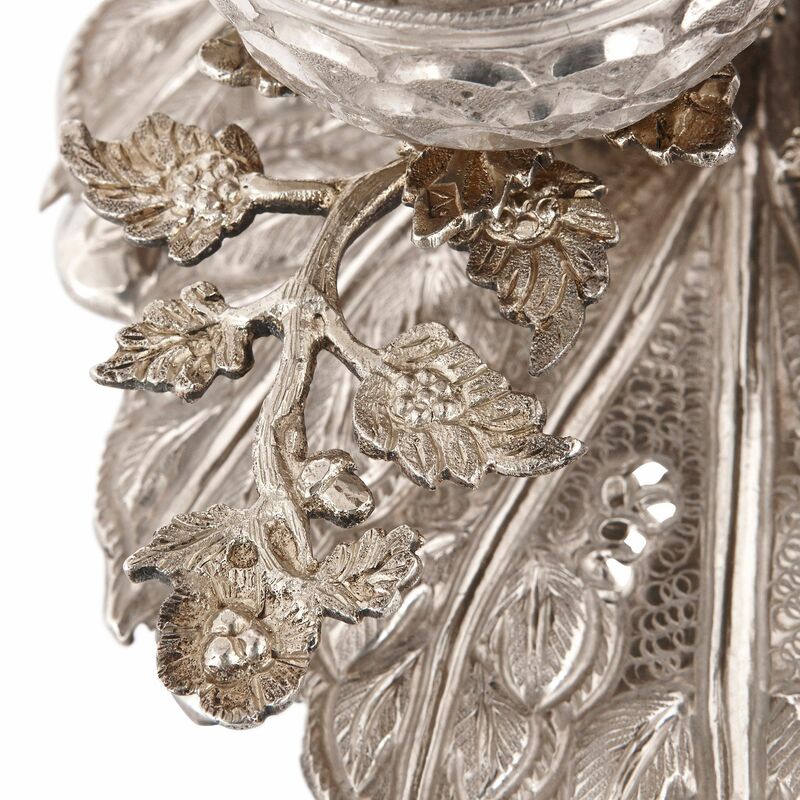 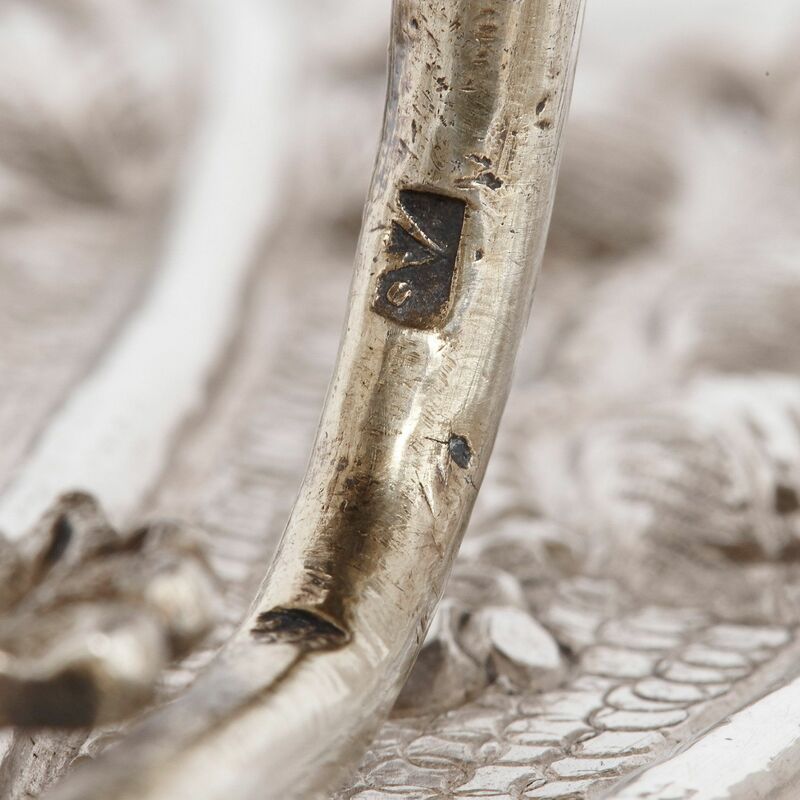 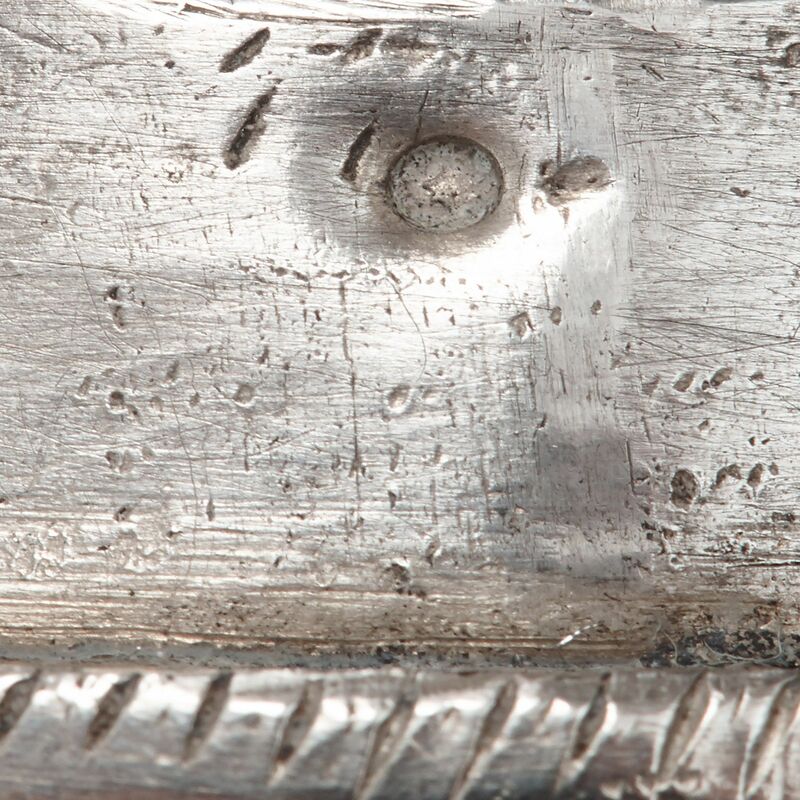 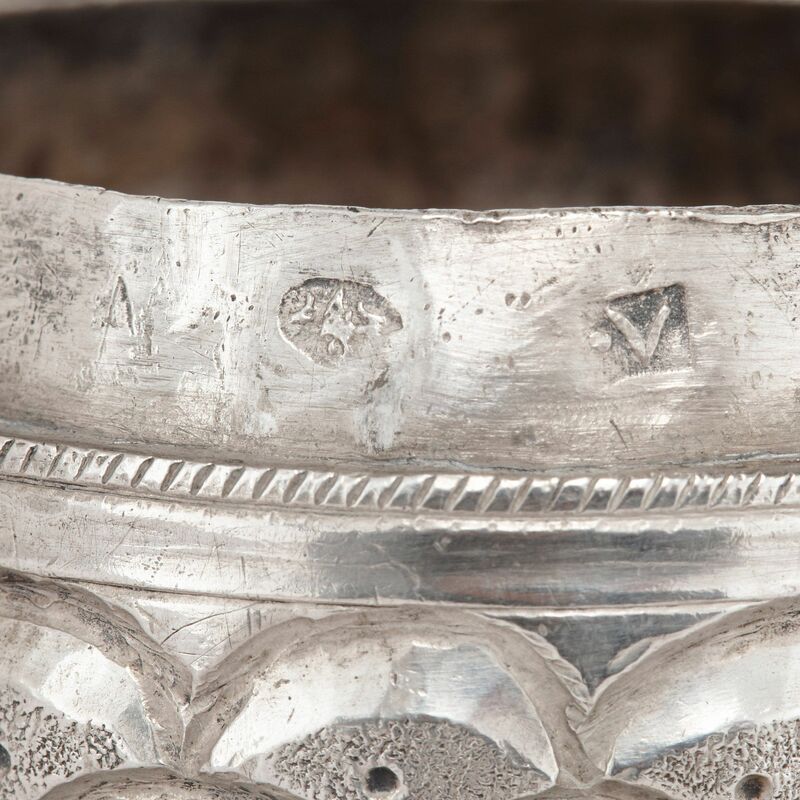 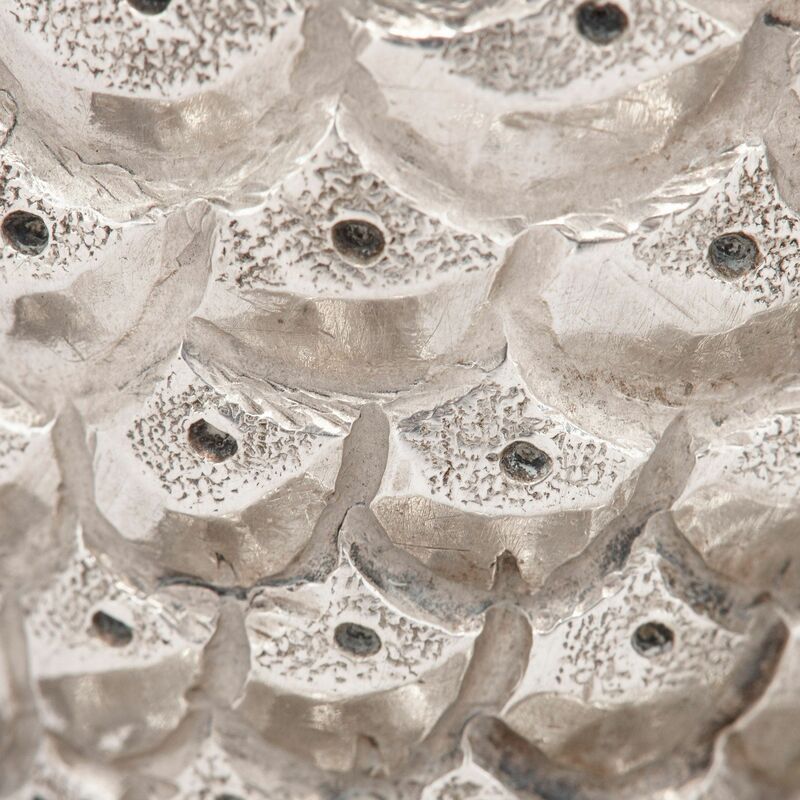 The rims of the lids, as well as the silver branches, are stamped with a number of silver hallmarks. 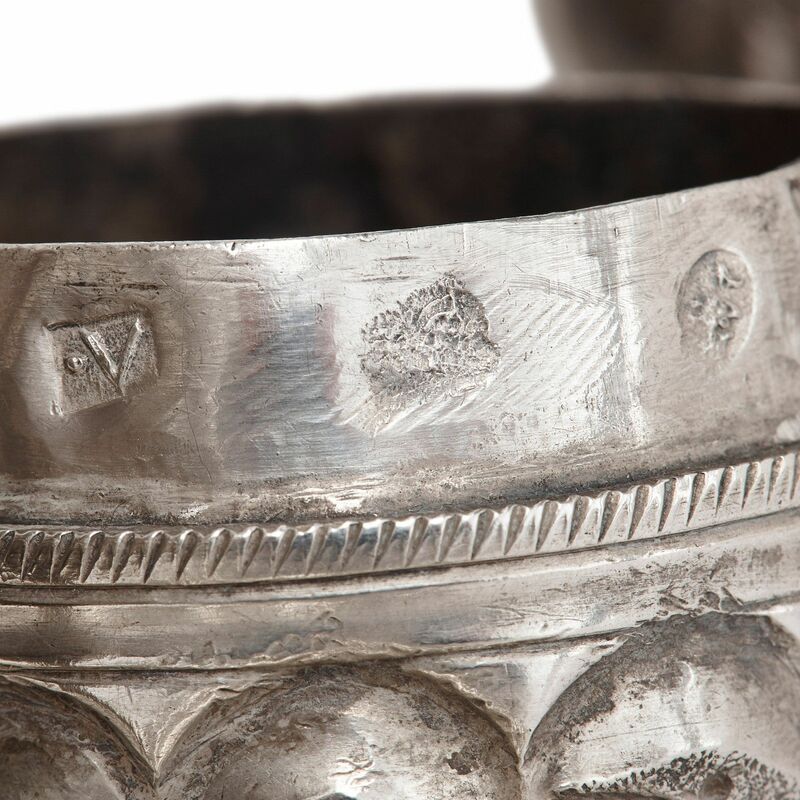 Spices in decorative containers such as these are normally passed around for smelling during the Jewish ceremony of Havdalah, which marks the end of the Shabbat (the weekly day of rest and worship in the Jewish religion) and the beginning of the new week.